Group classes — whether spinning or dancing or core workouts — are all the rage in the fitness world, and it’s easy to see why. Working out in a group provides not only socialization and support, but accountability and motivation to maintain one’s progress. Often, area gym owners say, the biggest challenge is just taking that first step — and learning that fitness classes are, quite simply, a lot of fun. Maggie Bergin is certified to teach spinning, TRX, and Group X classes, and has, in fact, been teaching fitness in the Valley for the past seven years. 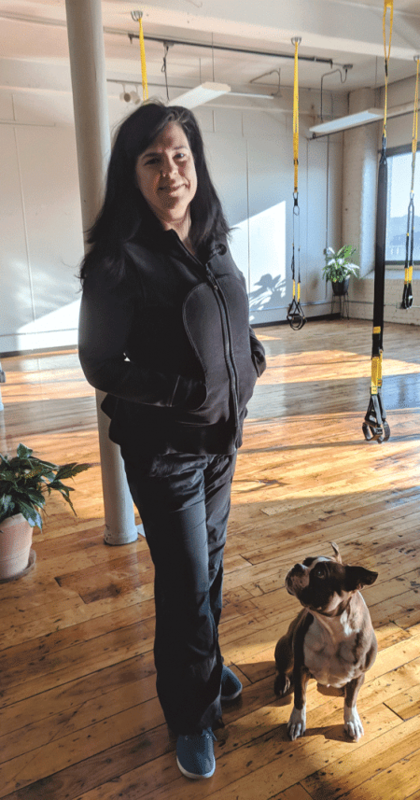 As the communications director at Open Square, she thought it would be a natural move to open a fitness facility in that complex overlooking Holyoke’s canals. So, last month, she launched the Reset, which specializes in group classes, hoping to draw some of the 200 people who work at Open Square, as well as employees of nearby businesses, to take part in ‘nooner’ sessions at lunchtime and classes after work. But there’s a difference between understanding the need to work out and actually doing it, she went on. The Reset is equipped with TRX suspension trainers hanging from the ceiling, a popular fitness device designed by a Navy Seal to have intense core workouts with a minimum of equipment. But it’s not equipment that will draw members to Bergin’s new gym, she said; it’s the appeal of working out as a group. In fact, group training classes have become the most popular element of today’s fitness facilities. Gym owners say people who might initially be reserved about working out around others are quickly taken by the sense of community, mutual support, and socialization these classes offer. Maggie Bergin says exercise classes are an investment of money and time, and people want to know they’re getting results — and having fun, too. 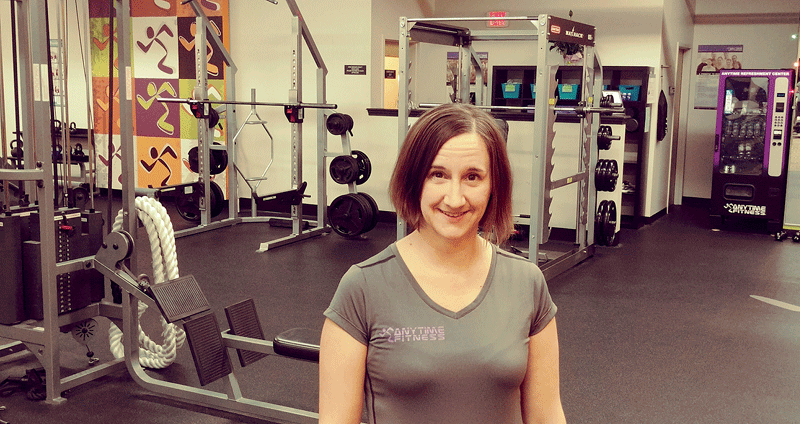 Marie Ball, owner and group personal-training specialist at the Anytime Fitness franchise in Agawam, agrees. However, the smaller groups that Anytime runs typically max out at five to seven participants, so there’s more individualized attention from the trainer, while maintaining that social aspect people desire. Justin Killeen, owner of 50/50 Fitness/Nutrition in Hadley, said the trend has been away from commercial, big-box gym environments filled with Nautilus and circuit equipment, and toward a more supportive, community environment. He noted that the technology on today’s group workout equipment gives instant feedback for calories burned and other data, while allowing participants to compete against each other for extra motivation. Mostly, though, what fitness enthusiasts — especially the younger crowds — are looking for is a fun experience. For this issue’s focus on fitness and nutrition, BusinessWest examines why group fitness classes are growing in popularity and how they motivate people to get — and stay — healthy. When she considers where people find that motivation, Bergin agrees with Killeen that it starts with having fun. She said the overnight hours are beneficial not only for those with those so-called crazy schedules, but first-timers who might be nervous about working out in front of lots of people. Many of them, however, eventually move on to daytime classes and experience the social benefits of exercising as a group. Besides its popular group classes, 50/50, as its name suggests, helps members with their nutrition plans as well, as a way to bring total wellness under one roof — and save time in the process. Marie Ball says small-group classes provide both a sense of community and more individualized attention from the trainer than a larger class. It helps, he said, that people today are more educated about health and wellness and have options for improving their own. Still, Ball said, it can be difficult for some people to get started. “I always say, when people walk in our door, that might be the hardest thing they’re going to do this month. That first step is so hard for people,” she told BusinessWest, adding that the sheer variety of fitness modes can be intimidating. That’s why Anytime offers a seven-day all-access pass so people can get a feel for the center without a long-term, high-cost commitment. And, as Bergin said, success often starts by finding an activity that’s fun, because without that element, people don’t want to invest their money and time. And she’s eager to help people find their fitness joy. Is Politeness Killing Your Profits?